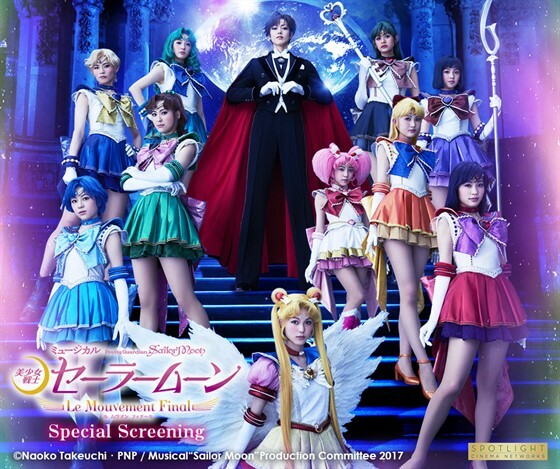 The U.S. premiere of the musical production of anime and manga icon Sailor Moon. Usagi Tsukino says farewell to Mamoru Chiba as he is set to leave for school in America. As Usagi says goodbye, she faints, and a super idol group called the Three Lights appear to catch her fall. Meanwhile, new enemies – the “Shadow Galactica,” are calling themselves Sailor Guardians and are aiming to steal Sailor Crystals! A mysterious young girl named Chibi-Chibi and a new group of Sailor Guardians, called the Sailor Starlights, also appear, but are they friend or foe? Can Sailor Moon and the Sailor Guardians stop the Shadow Galactica before it’s too late? Sailor Moon’s final battle for the future of the galaxy is at stake, and it starts now!